Everyone, or at least the entirety of the Kenyan male species, appears to have had it with slay queens. Just the other day, Kimilili MP Didmus Barasa opposed the Two-Thirds Gender Bill, describing it as a means for slay queens to join parliament without working hard. A few months before that, Primary school head teachers were being warned not to fall prey to ‘Slayqueens’ during their week-long annual conference in Mombasa. And now, a construction worker has come out to paint the perfect picture of the devastating ways of slay queens. 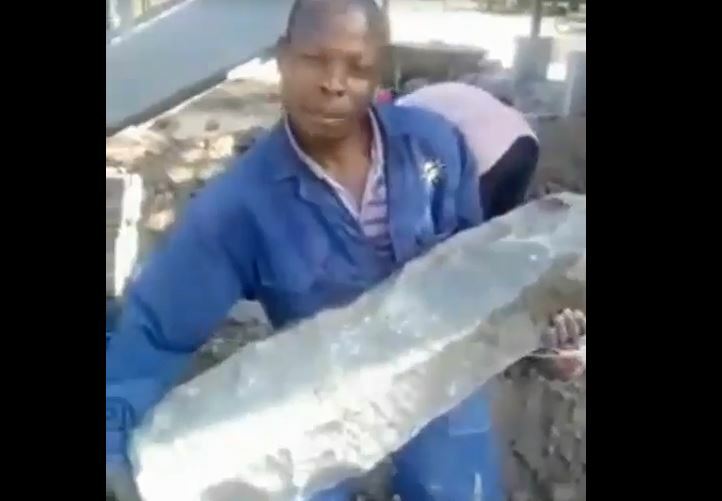 In a clip circulating on the interwebs, the mjengo guy can be seen grappling with a humongous construction stone while at work as he narrates how slay queens ask for money without regard to what the man goes through.